You can’t catch those special moments if you don’t have your camera nearby. With the COOLPIX S3200, you’ll always be ready for making memories. Slim, sleek and stylish, it fits comfortably in your pocket or purse so you can take it on every outing. And since it’s a Nikon, your photos and HD movies will always be gorgeous. 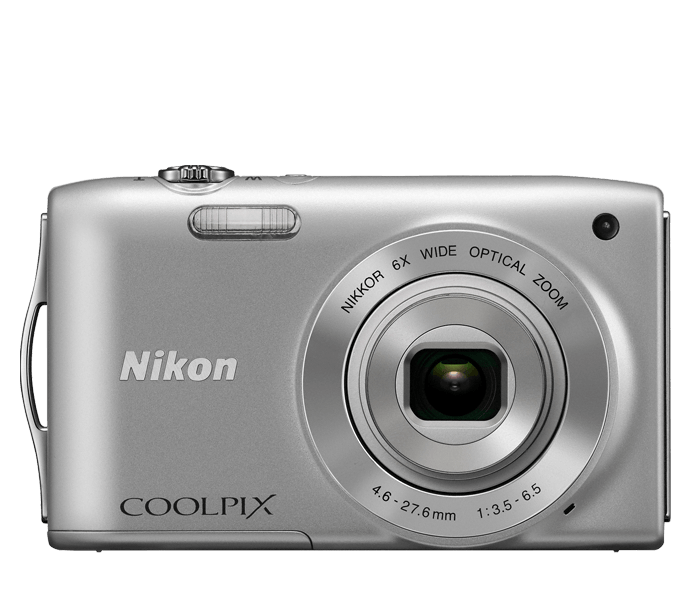 If you want a camera that’s slim, sleek and super easy to use, look no further than the COOLPIX S3200. Designed to be as simple and intuitive as possible, you’ll start taking great photos and HD movies right out of the box. The camera is thinner than 20mm when turned off, and its sleek design fits comfortably in a pocket or purse. When you’re ready to use it, simply turn it on, point, shoot and be amazed at the results. Sometimes, a still photo just isn’t enough. In those instances, the COOLPIX S3200 is ready to record HD (720p) movies with sound at the touch of a button. Record all the action, then share what you just captured on the COOLPIX S3200’s 2.7-inch LCD or play back your movies and photos on a TV or computer.